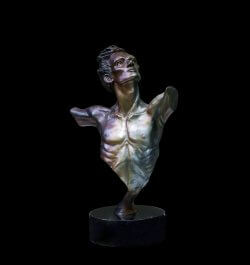 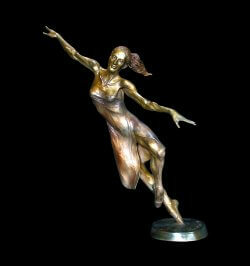 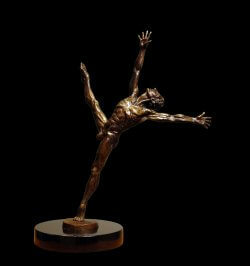 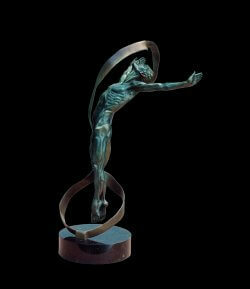 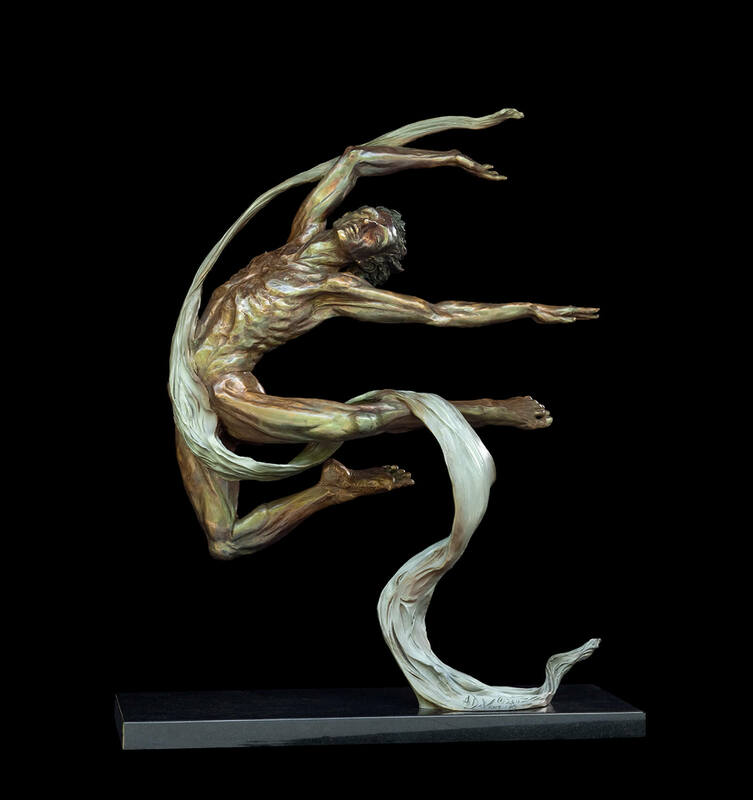 Invitation to dance is a bronze ballet dance sculpture. 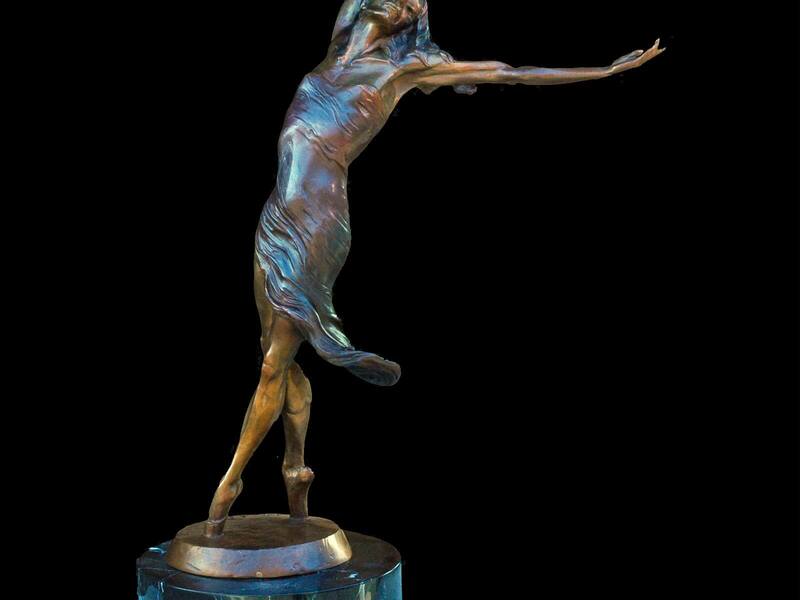 The female dancer stretches her arm out in a gesture that says to the viewer “come dance with me“. 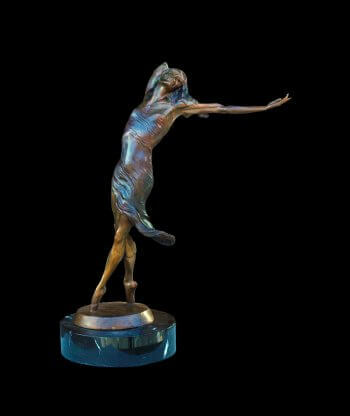 Her other arm bends up and her hair envelopes her hand in back of her head with the fingers revealed coming through the strands in the back of the head.